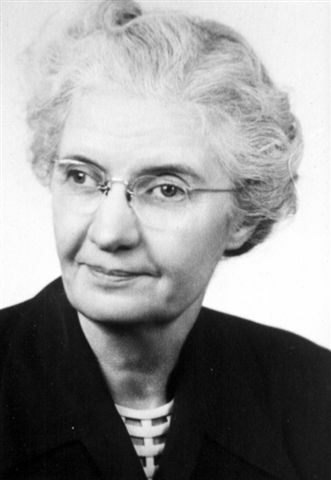 Dr. Winifred Sewell (b. 1917 - d. 2002) established the Grace and Harold Sewell Memorial Fund in 2001. 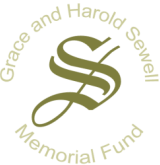 In her own words, “The fund is to be named the Grace and Harold Sewell Memorial Fund in honor of my parents...."
Harold Sewell was born in Bremer county, Iowa, January 3, 1892. He moved to Washington with his parents in 1906 and lived in Pullman where he attended the preparatory department of Washington State College. He received a B.S. in civil engineering from W.S.C. in 1911 and did graduate work and teaching there the next year, receiving a B.A. in mathematics in 1912. The following is an excerpt from Pend Oreille Profiles, based on information from Grace Sewell. “We think we know how to stand on our own two feet, but we don't know how to walk." Sitting next to me on a plane was a doctor who leaves his car in the garage, has been riding his bicycle to work for the last ten years, and walks five miles a day whether he needs it or not. "They used to plow the sidewalks instead of the streets, jack their cars up off the ground and leave them in the garage for the winter. If you couldn't get there walking, you'd call John Olson, the drayman, and he'd come with his sleigh and take you. People walked wherever they went. Now they've gotten soft. They drive everywhere." Mrs. Grace Sewell doesn't drive. She walks. "I like to walk, and I get bawled out when I do it. It's good for anybody to walk. It's healthy .... Maybe that's why I have such good health." Mrs. Grace Sewell was born in 1894, on a farm in southwestern Rock County, Minnesota. "You have to keep interested and involved in life. You're only as old as your mind. You have to keep busy and not sit down and feel sorry for yourself." More than the philosophical cliché, "History repeats itself," for Mrs. Sewell, it has, at least when it comes to walking and staying healthy. Going for a nice long walk, taking time to look where you're going, feeling the outdoors and taking it in seems a refreshing change from playing four wheel roulette in a cloud of smog. And we thought we were discovering a new world when we bought the last copy of The Complete Walker from the local bookstore. There was a quiet, almost modest dignity about Mrs. Sewell as she shared some of the history experienced in her life. After seven years in the country schoolhouse, Grace graduated three times in Jasper, Minnesota, where her father had retired. "They kept adding on grades while I was there, and I finally graduated from high school in Pipestone, Minnesota." "Playing" has been a big part of Grace's life. She played basketball in school and started playing piano and organ for Sunday School in 1906. "Two organists were feuding, so the minister fired them both and I started playing." Grace has been playing the piano and organ for over sixty-three years, has never taught music, has never accepted any payment for her services, and considers herself an amateur. When Macalester College in St. Paul, Minnesota, had a grand enrollment of 308 students, Grace was studying music and business. But in 1912 the call of the Great Northwest became irresistible and Grace arrived in Newport on June 30. It seems that her brother and father were interested in going into business for themselves and bought Lund Hardware where Sherman's Hardware now stands. Partners in business, G. W. and E. T. Vickerman opened Vickerman's Hardware before G.W. (George Washington) Vickerman returned to Minnesota to sell his house. Then George hopped on a freight train and rode West with his cow, chickens, a piano, and his Jackson automobile. He sat comfortably in a swing rocker and "rocked his way across the country," and if anybody doubts my word, the rocker may be found in Jim Sewell's attic. Grace had learned to play on that piano, and after several trips cross country it has finally come to rest in Issaquah, Washington. Soon after Grace arrived on the Newport scene, a gentleman by the name of Harold Sewell came to town. He had graduated from Washington State College in 1911 as a Civil Engineer, received an additional degree in Mathematics after teaching at WSC, worked as a surveyor for the County Engineer in Newport, and finally met Grace at a Halloween party in the Methodist Church. Grace insists, "I came here first." This was about the time that a "pool-playing minister" was forced to leave the Hope Congregational Church. It seems he was recruiting church members from the local pool hall. Meanwhile, Grace was working as a stenographer for Pend Oreille County Abstract Co., L. M. Johnson was cruising timber, and the ferryboats were swimming across the Pend Oreille River at Usk, Dalkena, Ruby, Metaline Falls, LaClede and Newport. All the ferryboats were on cables except one power ferry at Metaline Falls. The crossing was free except for special trips at night when you had to hail a ferryboat to get to the other side. There were no bridges, and the roads were so narrow "you had to pull out into the stumps to get by another car." In 1914 Grace's fiancé was elected County Engineer and "we could afford to get married." This they did, a year later, in a quiet June wedding at Grace's home. "Most people were married at home then." "I'm no women's libber, " explained Grace. She became a homemaker but kept the books for her husband. Harold continued as County Engineer for four years and rode the Idaho & Washington Northern Railroad "downriver north to Metaline Falls and upriver south to Newport." He formed his own engineering and construction company, the Interstate Engineering & Construction Co., and built roads, logging flumes, logging railroads and bridges, including the Ione Bridge which he designed in 1932. 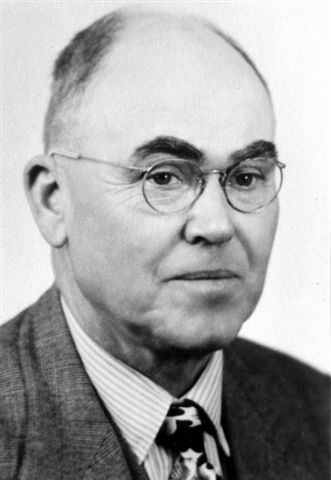 Prior to World War II, Harold served on the School Board, and also contracted for a variety of projects with the Rural Electrification Administration. During the war he served as Chief Civilian Engineer at the Farragut Naval Base on Pend Oreille Lake while Grace kept busy with her five children. In 1942 the H.A. Sewell Consulting and Contracting Engineer firm opened its doors but was soon to be renamed H.A.& J.A. Sewell Consulting & Contracting Engineers, as his son, Jim Sewell, joined him in 1945. Ten years later Grace retired from her active schedule of organ and piano playing for the Hope Congregational Church to have more time to travel with her husband. A fifty year member of Eastern Star, she had been organist there for over thirty years. But as might be expected Grace couldn't give up playing completely. She still continued as accompanist for the United Church of Christ "Choraleers." Grace was also a member of the P.E.O. sisterhood, a national women's organization which provides scholarships, loans, and international Peace Scholarships for college women. Grace apparently believed it was important to take a look at America first. She traveled in every state, and before her husband passed away in 1969, saw more dams and bridges than most wives of engineers know about. The moral of that story .... If you like dams and bridges, marry an engineer and go traveling together. When there were no more dams and bridges to be seen, Harold was somewhat of a baseball fanatic, heading for Spring training camps in Arizona where he and Grace mixed baseball with Indian ruins, state parks, and the Grand Canyon. To honor Grace and Harold Sewell, her parents, Dr. Winifred Sewell established this fund.